We might have come across many hillocks and garths notwithstanding Udhagamandalam pare down as Udhagai and Ooty has its own tranquil beauty.ooty is immensely beautiful hill station located in Nilgiri hills and it is located 80 km north of Coimbatore.ooty is kind of a place where anyone can plan to trip at the spur-of-the-moment since it let you have marvelous exploration from door to door.Well, journey point of udhagai indicates you with chill air caressing over you and spinning through hair-pin bend roads.This is quite a bit lengthy blog, take a while to explore about ooty.As a scribbler, rather am perplexed on set about of this blog. Ooty has a lot of magnificent places though, people always love to stop by the flower garden.Eye-catching vibrant colored roses.Every year government of ooty organizes a 3 days flower show, carnivals during amidst of May month.During this annual event showcases flower, spice, vegetable in various incredible manifestation.more than 15000 potted plants and various flowers like Asiatic and oriental lilies, tulip, French marigolds, chrysanthemums etc.Also imported carnations from various countries like Italy, tulip from Holland etc.This annual event is a feast for visitors eye though it exhibits a replica of hornbill, its commonly found in Nilgiris, a classical dancer who pays tribute to arts and culture, Mahabalipuram Shore Temple etc.replicas are carnated with thousands of colorful roses, fruits, vegetables. Also, remember to drop by Honey & Bee Museum, thread garden, and Sim’s Park.Honey and Bee Museum in Ooty was started as a novel project by an NGO, Keystone Foundation. Museum provides knowledge about autochthonous honey bees, how honey is harvested.There are a various specimen, tools, as well as traditional and modern live demonstration units of bees in this museum. These specimen and tools are basically used for honey gathering and bee-keeping. Exclusive spot for bird watchers, trekkers, and camper.Mudumalai Wildlife Sanctuary, Mukurthi National Park, Deer Park, Bellikal, Masinagudi, pine forest, Doddabetta Peak, dolphins nose.If one has immaculate itinerary he could pay a visit to all the mentioned sites.The Mudumalai National Park and Wildlife Sanctuary also referred as tiger reserve located in the northwestern side of Blue Mountains. 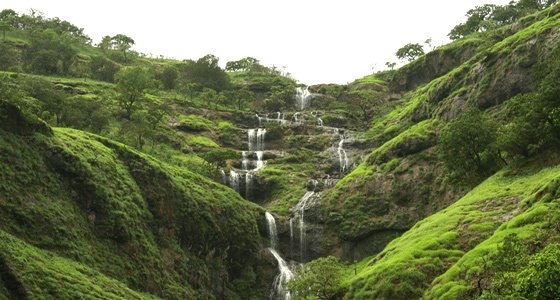 The sanctuary is divided into five ranges with boundaries expanded across Karnataka and Kerala states.– Masinagudi, Thepakadu, Mudumalai, Kargudi, and Nellakota.this is a place for endangered and vulnerable species.Bellikal is small village situated on the plateau of mountains.you can sit and enjoy the scenic beauty, see sunset and sunrise at the Bison Valley.Bellikal is on ethe low budget places especially appropriate for weekend gateways.Next, comes pine forest is Kollywood filming spot.This area is a steep slope downhill forested with lots of pine trees.there is a beautiful lake with an amazing view at the extremity of swaying forest.The slope is slippery to climb up. As I stated earlier, Wait for a while to sense more about ooty in my next blog. Coorg or Kodagu is one of the favoured holiday village in Karnataka.It lies In the southwestern part of the Western Ghats in malanad territory sited 900 meters to 1715 meters above sea level.Kodagu is widely spreaded with grandeur thick woods,lush forests,great green and grassy dales nestled with paddy fields and abounding trees, snow-capped rangy mountains, green coffee and tea plantations with carefully manicured hedgerows.The road continues to wind up the hill.Roses, bougainvilleas and marigolds blooming with full of vim and vigor.legendary river Kaveri takes birth from Brahmagiri hills in Kodagu,this place is referred as Talakaveri (head of Kaveri). It starts from a small spring (kundike – pond), gathering body as it courses downhill.It is joined by two tributaries ‘Kanake’ and ‘Sujyoti’. The confluence of these three rivers takes place in Bhagamandala. Dakshina Kannada, Hassan and Mysore in Karnataka state, together with such other members from Kerala, Wayanad and Kannur area, which is the place of choice to go for the weekend stroll.Coorg Region has an ancient charm, the quiet, peaceful cities.Bespeak a resort or hotels to make a stay and take pleasure in with the picturesque of kodagu.It is always awe-inspiring to sojourn in the amidst of green plantation,birds tweets and peeps will wake you up and your taste buds will be hankering to taste coorg’s best savoured coffee. Old-world coorg with variety of historical castles,citadels, ancient temples, parks, waterfalls and scenic sanctuaries and sites are there make visitors to perceive the magnificent beauty.The water stream from Kaveri river makes an elegant fall from Abbey Falls, the reserve falls and mallalli waterfall, matikeri Castle, the seat of the king, and katike nalanatu palace (King’s tomb).Enjoy the best waterfall bathing experience,sizzling fish saute and locale savouries of kodagu.Pakamantala major places in this area of ? ?spiritual, Tibetan Golden Temple, Temple and Talakaveri omkaresvara found such places.If you love undertaking adventurous pursuits then go with rock Climbing, golf, bait fishing, coracle ride. One more offbeat place for adventure is going jungle trip.Travelling through wilderness provides you awe experience.Ready with the checklist-first aid kit,One backpack, sturdy duffel bag,Sturdy shoes or hiking boots comfortable for walking,Camera,Light, water-resistant jacket etc. You can stay at the treehouses and further add nice memories to your trip. All you have to do is get ready with your planning,train or air tickets,room reservation to get here and enjoy the repose state of mind.